In 2016, The Story Prize received as entries 106 books published by 72 publishers or imprints. We aim for a broad definition of what a "short story collection" is. 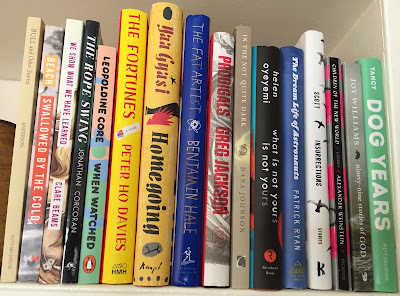 Some books labeled as novels, for instance, sometimes also work as story collections, particularly when each chapter or section has a distinct title and introduces new characters or situations. As difficult as it is to choose three finalists, it is in many ways just as difficult to come up with a long list of other notable story collections. 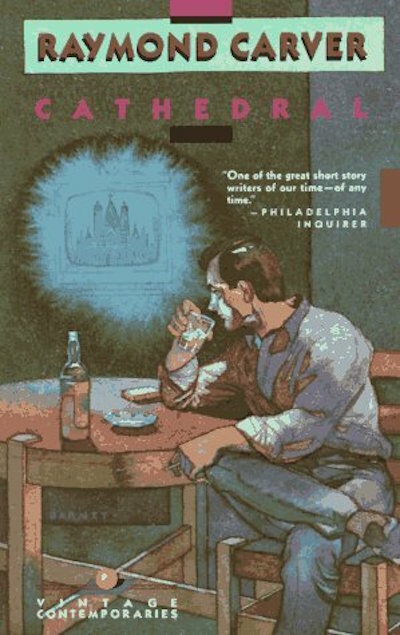 I don't think we can repeat this often enough: Anyone who publishes a short story collection has accomplished something significant and nothing should diminish that achievement. 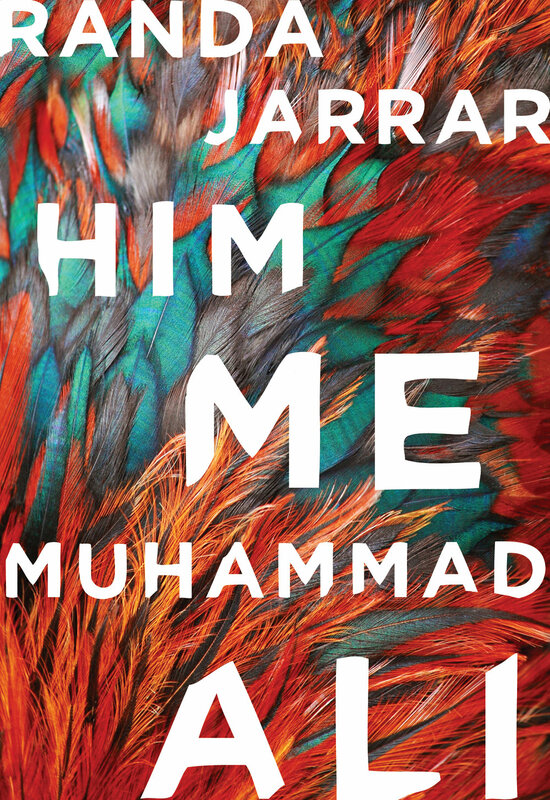 More than a dozen other books we read this past year could have been on this list. But ultimately, even a long list can only be so long. We'll announce the winner of The Story Prize at an event co-sponsored with The New School's Creative Writing program at the Auditorium at 66 W. 12 Street on March 8. At the event, finalists Rick Bass, Anna Noyes, and Helen Maryles Shankman will read from and discuss their work. You can buy tickets in advance online, or that night at the box office. In 2016, for the fifth straight year, we invited each author of a collection we received as an entry for The Story Prize to contribute a guest post to this blog. Out of 106 authors, 68 chose to participate. Since 2010, the TSP blog has featured 452 guest posts from 437 writers (some have contributed in more than one year). According to Blogger's statistics, most 2016 guest posts received 400 or more page views. The most popular post, "Benjamin Hale's Four Essential Fiction Writing Rules," has so far drawn more than 6,100 page views—the third most of any TSP blog post. "Antonya Nelson's Ten Writing Rules," the post with the most all-time views, currently has more than 14,000 of them. The author posts with the second and third most hits this year were "Susan Perabo Urges Writers to Stop Thinking About Themselves," with nearly 2,000 page views, and "Katie Chase's Ten Simple Steps to a Short Story Collection," with more than 1,400 page views to date. • Name something you read that made you want to be a writer. • Is there a story by another author you wish you’d written? • Where does a story begin for you? • Describe a physical, mental, or spiritual practice that helps put you in a suitable state of mind to write. • What do you do when you get stuck? • How do you know when a story you’re in the process of writing is or isn’t working? • Describe an unfinished story that you want to go back to but haven’t quite figured out yet. • Discuss a local bookstore or library that is important to you. • A letter to a young writer, a la Rilke. • A list of ten pieces of writing advice. In addition, contributors had the option of coming up with their own ideas. Here then is this year's index of guest posts, in alphabetical order by last name. In addition to naming three finalists each January, we also award The Story Prize Spotlight Award to a short story collection of exceptional merit. Winners of The Story Prize Spotlight Award can be promising works by first-time authors, collections in alternative formats, or works that demonstrate an unusual perspective on the writer's craft. The winner receives a prize of $1,000. 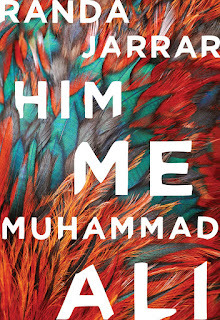 This year's winner is Him, Me, Muhammad Ali by Randa Jarrar (Sarabande Books), a collection of thirteen bold and varied stories that utilize an array of narrative strategies and present characters who often are or feel like outsiders. 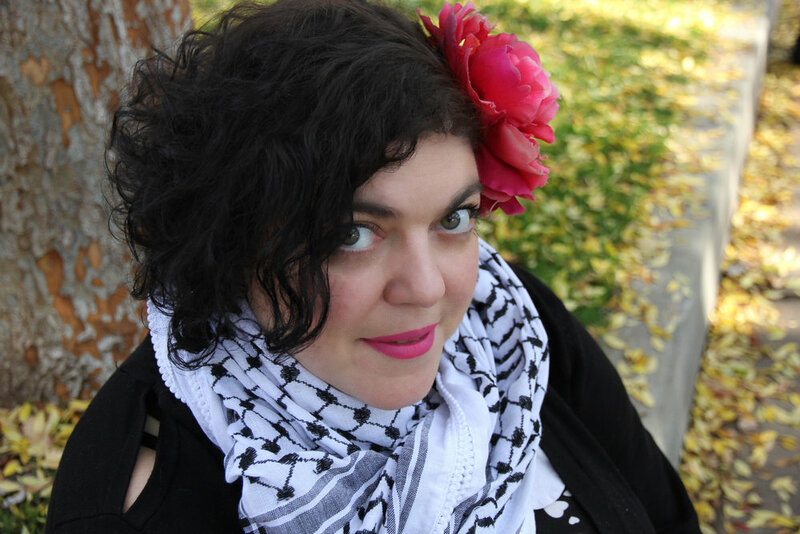 No matter the setting Jarrar chooses or the form she employs, her storytelling skills and empathy for her characters—who are often Arab Americans—shine through. Past winners of The Story Prize Spotlight Award have been Krys Lee's Drifitng House, Ben Stroud's Byzantium, Kyle Minor's Praying Drunk, and Adrian Tomine's Killing and Dying. This is not the first book published by Sarabande Books to win The Story Prize Spotlight Award. It also published the winner two years ago, Praying Drunk by Kyle Minor. In recent years, Sarabande has moved from being a regionally focused small press to one that now publishes an array of interesting and innovative books, a substantial number of which are short story collections. Congratulations to Randa Jarrar and Sarabande Books for winning The Story Prize Spotlight Award for short story collections published in 2016. The annual award event will take place at the New School’s Auditorium at 66 West 12 Street in New York City at 7:30 p.m. on Wed., March 8. Tickets cost $14. That night, Bass, Noyes, and Shankman will read from and discuss their work on-stage. At the end of the event, Julie Lindsey will announce the winner and present that author with $20,000 along with an engraved silver bowl. The two runners-up will each receive $5,000. In the weeks ahead, we'll announce this year's winner of The Story Prize Spotlight Award. We'll also publish an index of guest posts from 2016 authors and a long list of other exceptional collections we read last year. In the 68th in a series of posts on 2016 books entered for The Story Prize, Patrick Ryan, author of The Dream Life of Astronauts (Dial Press), discusses his approach to writing the opening of a story. How I wish I’d written “Chef’s House” by Raymond Carver. Actually, that’s too greedy and grandiose. All I really want is to live one day of my life as the person who, that morning, wrote the opening to “Chef’s House.” That first paragraph! * We get it all in just a few lines: the present of those two characters, their history, their heartbreak, their hope. We get the urgency, the hesitation, the tone, the sound of their voices. We even get in microcosm the entire arc of the story that’s to come—though we aren’t sure that’s the case until we’ve finished reading. I don’t find beginnings any harder to write than endings. Or middles, for that matter. But I have settled into a few guidelines for myself when it comes to beginnings. I try to start with a sentence you can’t really argue with. Meaning, a sentence that states a fact within the world of the story. And I endeavor to make that sentence involve an action—though that’s not always possible. It’s very helpful for the writer and the reader to get to a verb that has to do with the present action of the story as soon as possible. Revising the first page is an ongoing process. If I write four sentences, chances are I’ve already revised each one of them a few times before I get up from my chair. I read out loud to myself all the time, listening to the way the words line up. I do that for a couple of reasons: I want the rhythm to work from one sentence to the next, and I want to clear away any confusion. Nothing that can be read two different ways is allowed to stand. (The only exception to that, of course, is dialogue. Miscommunication between characters often serves as the gasoline in a scene’s engine.) Anytime a writer sets out to be obscure—even for a line or two—I think it’s a misstep. Anything that causes the reader to pause, back up, and reread for clarity is a misstep. Writers should only count on getting one read out a reader. A strong sense of character has to be in place for me before I can get going. I know there are plenty of great writers who start with a few words, add a few more, and before they know it, characters and situations emerge on the page. For me, nothing emerges without a grasp on the characters I’m writing about before I begin. I don’t take a lot of notes on them or sketch out their bios as a rule, but I think about them. I picture them. I don’t need an exact face; I need an exact sense. All of that is there in the opening of “Chef’s House.” I’m in awe every time I read it. I’ll never knock an opening out of the park like that, but a person can dream, right? That summer Wes rented a furnished house north of Eureka from a recovered alcoholic named Chef. Then he called to ask me to forget what I had going and to move up there and live with him. He said he was on the wagon. I knew about that wagon. But he wouldn’t take no for an answer. He called again and said, Edna, you can see the ocean from the front window. You can smell salt in the air. I listened to him talk. He didn’t slur his words. I said, I’ll think about it. And I did. A week later he called again and said, Are you coming? I said I was still thinking. He said, We’ll start over. I said, If I come up there, I want you to do something for me. Name it, Wes said. I said, I want you to try and be the Wes I used to know. The old Wes. The Wes I married. Wes began to cry, but I took it as a sign of his good intentions. So I said, All right, I’ll come up. 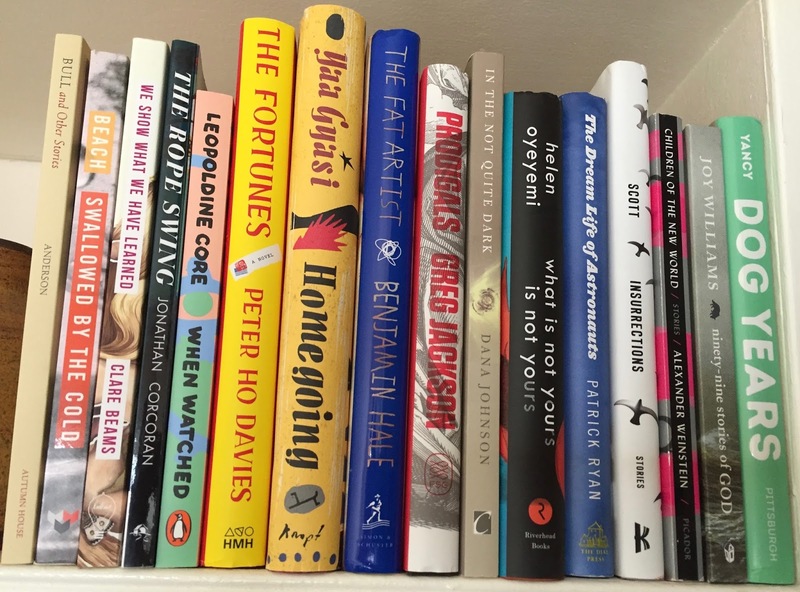 In the 67th in a series of posts on 2016 books entered for The Story Prize, Matt Bell, author of A Tree or a Person or a Wall (Soho Press), explains why he left a story out of his collection. There are thirteen stories in How They Were Found, my first story collection, but only nine of them made it to A Tree or a Person or a Wall, my latest, which includes most of that out-of-print book as well as a previously published novella and a number of new stories. Of the four stories left out, three were easy and obvious exclusions. Two very short stories would have been swallowed up in the nearly four hundred pages of A Tree or a Person or a Wall. Another was among the earliest stories I wrote for How They Were Found, and it no longer seemed strong enough to stand beside the stories that followed. The fourth was titled "The Leftover," and it was one of my favorites. A breakup story, "The Leftover" concerned a young woman whose boyfriend moved out—but who somehow left behind a smaller, childlike version of himself who the woman now had to care for. 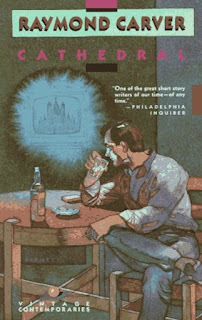 There was a sweetness to the story that I always liked, a tenderness often absent from other stories of mine, and I think it was funny in its absurdity in a way that made it a valuable addition to How They Were Found, an often grim collection. But by the time I was putting together A Tree or a Person or a Wall, I knew I couldn't include it again. The problem? Rereading the "The Leftover" meant admitting it didn't really feel like it was mine but Aimee Bender's. Or rather: what it felt like was a piece of Aimee Bender fan fiction. The events of the story could have come right out of one of her books—which isn't to say I'd rendered them as well as she would have. (Another hallmark of fan fiction: The writing and the invention are rarely as good as the original.) It had enough markers of what I think of as "my style" to stand alone if I never said anything, but obviously it owed an enormous debt to Bender, her worlds, her style. Reading my story again with fresh eyes, it was hard for me to feel that I'd added enough to what I'd taken to really call it mine. So I decided "The Leftover" was fan fiction—but was that necessarily a bad thing? "Fan fiction" can be a term of derision: The form isn't exactly beloved by most literary writers, and certainly most creative writing teachers see it as part of their job to encourage students away from it, even though many beginning students are in writing classes because of their love for fan fiction—writing inside the worlds of their heroes is not infrequently the only kind of fiction they've written so far. And why not? In her book On Beauty, Elaine Scarry says that "Beauty brings copies of itself into being… Sometimes it gives rise to exact replication and other times to resemblances and still other times to things whose connection to the original site of inspiration is unrecognizable." Around the time I wrote "The Leftover," there were few writers whose work I loved as much as I loved Aimee Bender's stories. They were smart and funny and weird, and though I didn't yet have the technical language to describe all of their effects, there were techniques she used that rang deeply true to my own felt experience of the world. For instance, there's often a "flatness" to her depictions of action that (thanks to Kate Bernheimer's writing) I've learned to recognize in other kinds of non-realist writing like fairy tales, and I loved how concrete the magic in Bender's stories was, how she never winked at the reader or flinched from the consequences of introducing some unlikely new reality into the world we know. But as much I liked these elements of Bender's writing, I hadn't yet taken what I learned and made it fully my own, at least not in "The Leftover," where what I'd taken from Bender is now so much more apparent to me than it is in other stories of mine, which surely also bear her influence in less obvious ways. 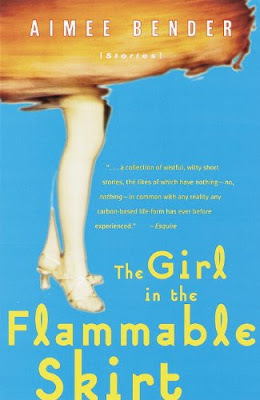 Part of the problem of "The Leftover" and Bender's total influence on it is easy for me to diagnose now: I just hadn't read enough other books like hers yet, books working in the same traditions that would expand and complicate my fandom until I could see more of the possibilities of this kind of fabulist writing. I needed Karen Russell, I needed Kelly Link, I needed Karin Tidbeck, I needed Jorge Luis Borges and Gabriel García Marquez and dozens of other fabulists, magical realists, writers of contemporary fairy tales and myths. To more fully become my own writer, I needed as many of these kinds of writers as I could find, and however many I read it will never be enough. One of the truest things I've learned about writing fiction is that the writers who seem the most original are often paradoxically the ones with the most influences. They read from the most eras, from the most traditions. They love writers not just from America but from around the world. They read diversely, in every sense of the word. And all their fandoms combine into something seemingly new, some composite "imagination" not yet seen, which makes them seem utterly unique. But perhaps that's not really it: Perhaps these most original writers are simply better fan fiction writers than the rest of us, because the beauty they're imitating comes from more sources, because they have learned to drawn upon the example of not just one way of seeing the world but many. I know now that every sentence I write is, in one way or another, a love letter to a sentence I've read, a fan fiction in miniature. Still, I removed "The Leftover" from my newest book because it was too obviously an overt love letter to only Aimee Bender—to what I understood about Bender's sentences, her techniques, her preferred story shapes. It was too simple an affection, too obviously a mimicry. Since then, a lot of other writers have come into my life through their books, each unique in his or her own way, each offering some slightly skewed way of looking at this world we share. I fall in love with a new writer, and each new love leaves its mark, hopefully joining all the others that have come before to share what's best of their art with whatever is most mine in me, their stories making new tales through me, as best as we all can.